Join the Penn State Behrend Lions Men’s Soccer Prospect Camp. It is a 6-hour soccer clinic on October 15. The event will take place at the state-of-the-art Penn State Behrend Soccer Stadium. It is inviting males soccer players in grades 9 up to 12. This is a unique opportunity for attendees to enhance skills in a challenging and fun collegiate atmosphere. In addition, it is also an opportunity to gain recognition from the college’s recruiting staff. Goalkeepers will also receive their skill specific training sessions. The program starts at 10:00 AM and ends at 4:00 PM. Furthermore, each registration includes a free lunch and a free camp t-shirt. Penn State Behrend is a public, coeducational, state-related college in Erie, Pennsylvania. Pennsylvania State University is its parent institution and its former name is Behrend College of the Pennsylvania State University. Penn State Behrend’s computer science program has an accreditation from the Accreditation Board for Engineering and Technology, Inc. Moreover, Penn State Behrend is 29th in Engineering Programs, 2018 edition of Best Colleges rankings. It is at the same time 216th in the Business Programs rankings. Its total student population is around 5,000 with an acceptance rate of 88 percent. Meanwhile, Penn State Behrend has 22 athletics teams competing in the Allegheny Mountain Collegiate Conference of NCAA Division III. The athletics nickname is Lions while blue and white are their identity colors. The leader of the Penn State Behrend men’s soccer team is head coach Dan Perritano. He is at the helm of the soccer program for already an outstanding 25 seasons. 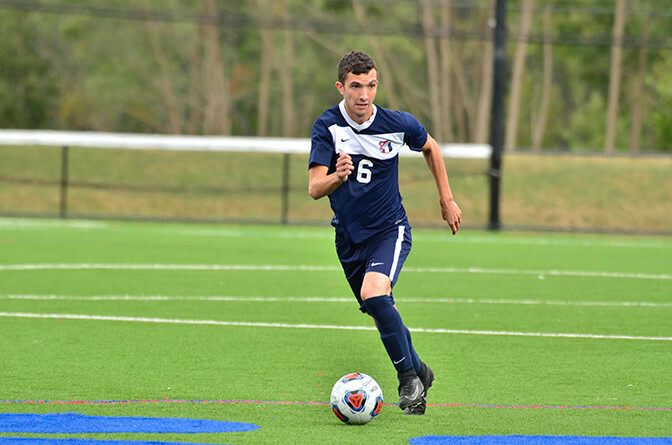 Under his leadership, the Lions men’s soccer has already 8 Allegheny Mountain Collegiate Conference titles. Ultimately, Coach Dan Perritano is the 1997 and 2003 AMCC Coach of the Year awardee. He is a USSF “B” and National Youth Coaching License holder. Then, helping coach Perritano are assistant coaches Christian Harrington, Jake Dodd, and John Parente. Join the Penn State Behrend Lions Men's Soccer Prospect Camp. It is a 6-hour soccer clinic on October 15 at the Penn State Behrend Soccer Stadium.